Mark Delarosa has gone undefeated through seven professional outings, but his accomplishments in the cage have been overshadowed by one controversial action outside of the cage. Delarosa’s infamous no-show for a scheduled Legacy Fighting Championship bout against the league’s bantamweight kingpin Steven Peterson garnered plenty of attention, but not the positive kind of attention he was seeking. In fact, some considered it “career suicide” for the young fighter. Now, Delarosa has a chance to show his skills inside the Combate Americas cage at Combate 10. He’ll have his hands full when he takes on fellow undefeated prospect Ivan Flores in a bantamweight showdown. Delarosa’s decision to no-show the Legacy title fight cost him his chance at grabbing three regional titles within three fights. He would have entered the fight on the heels of title wins in the Dominion Warrior and Superior Combative Championships organizations, where he defeated Kashif Solarin and Arthur Oliveira, respectively. The championship victories added to a streak of wins that also included a first-round submission finish of UFC veteran Joseph Sandoval. The 22-year-old Texan has grown up competing on the U.S. regional grappling scene surrounding his home in Texas. He won many NAGA titles on his way up the grappling circuit. “The Bumblebee” has slimmed down and taken his training to a new level as he has progressed in his young career. 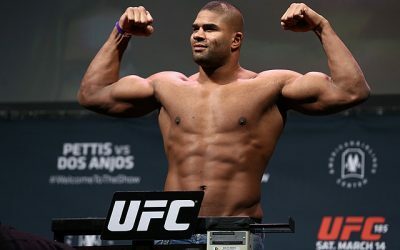 He has racked up an undefeated professional record under the training of Team Takedown, Genesis BJJ and Reyes Boxing. Flores, who will be fighting for the first time in more than a year, hasn’t seen quite the high level of competition as his opponent. The Mexican-born fighter has been competing professionally since 2012, but his biggest win came in his most recent outing against Jonathan Cruz Santos, who entered the bout with a 5-3 mark. When Flores did step up to take on WEC veteran Ivan Lopez, he found his match. Flores had to settle for a draw against his formerly 12-2 opponent. “El Brasil” trains out of Combate Libre Academia. He has four finishes via strikes and one submission win. Flores has a puncher’s chance on the feet against Delarosa, but we’re looking at fighters who are leagues apart in what they’ve shown thus far in their young careers. Delarosa has topped Bellator and UFC veterans while marching up the ranks, whereas Flores has preyed almost exclusively on low-level opponents. Delarosa’s grappling and wrestling abilities are likely to cause nightmares for Flores. This one should be an easy submission victory for Delarosa. All he has to do is show up and start rebuilding his reputation. Legacy Fighting Alliance’s second offering doesn’t come complete with a title showdown at the top of the bill, but it does feature some solid veterans and prospects. Among the veterans, the best match-up comes in a bantamweight scrap between UFC castoff Chico Camus and Resurrection Fighting Alliance veteran Darrick Minner. Camus debuted in 2009 and had a few stumbles before landing inside the Octagon at UFC 150 as an 11-3 prospect. Camus, fresh off a win over future UFC fighter Alp Ozkilic, decisioned Dustin Pague in his UFC debut, but he was handed a setback by Dustin Kimura in his sophomore outing with the company. Camus earned one more win and suffered an additional loss before leaving the bantamweight division behind. He made his 125-pound debut against Brad Pickett and earned a split decision. 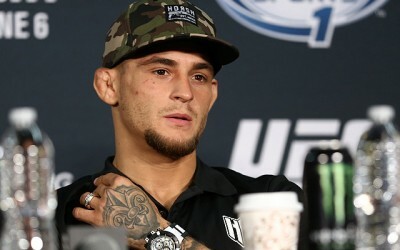 He was quickly thrown to the sharks when he was served up to Henry Cejudo and Kyoji Horiguchi over his next two fights. 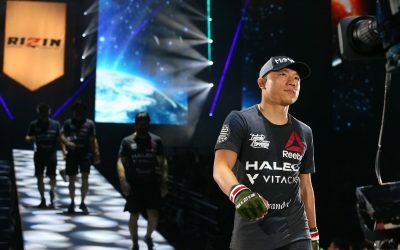 The title challengers — Horiguchi was fresh off a loss to champion Demetrious Johnson and Cejudo was just a couple of fights away from his own shot — handed Camus decision losses that led to his departure from the UFC. The 31-year-old’s first post-UFC stop came at RFA 36, where he won a decision over Wisconsin-based flyweight Matt Brown. 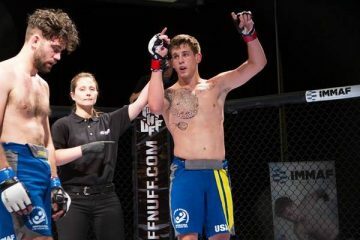 The Roufusport product returned at RFA 40 and delivered another unanimous decision win in his clash with Czar Sklavos. Minner’s pro career kicked off with a 2012 loss, but he rebounded with five straight submission victories, all via choke. After a rough 4-3 stretch, Minner found his groove and rattled off eight wins over his next nine fights. The 26-year-old has gone 4-1 under the RFA banner, with wins over William Osborne, Austin Lyons, Marvin Blumer and the aforementioned Matt Brown. Minner’s strength lies in his ground game, which he has utilized to secure 14 of his victories. The majority of Minner’s defeats have also come on the mat. Camus might be back on the regional circuit, but his Octagon losses are hardly embarrassing. Horiguchi and Cejudo have shared the cage with dominant UFC flyweight champ Johnson, but those came as a 125-pounder. He’s a solid striker too, but he hasn’t scored a stoppage since 2011. Minner, meanwhile, has a habit of attacking his opponent’s neck for the finish. Camus has done well in his regional outings as a flyweight, but he’ll step back up to the bantamweight division for this contest against Minner. As a 135-pounder, Camus dropped UFC fights to much less heralded competitors Dustin Kimura and Chris Holdsworth, and he also suffered regional losses to Robert Menigoz, Jameel Massouh and Marco Daniels. 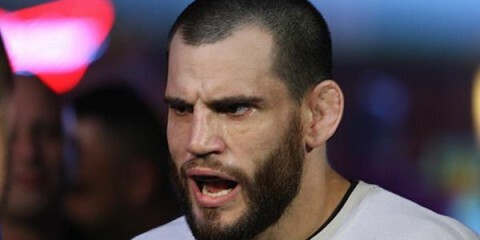 The UFC castoff definitely holds the edge in high-level experience, but his inability to finish fights could be costly. Minner has to look for the takedown early and often. Fighters who plant Camus on the mat tend to neutralize his offense and emerge with the win. At bantamweight, Camus is less likely to have answers to such a strategy. Minner has a strong chance at scoring the biggest victory of his career with another choke submission against Camus. Fresh off the honor of being named the Combat Press 2016 Promotion of the Year, the Absolute Championship Berkut organization is back with its second offering in as many weeks. The 52nd edition of ACB isn’t as loaded with big names as last weekend’s U.S. card, but it will showcase heavyweight prospect Denis Smoldarev. Smoldarev returns to action against Polish fighter Michał Andryszak. 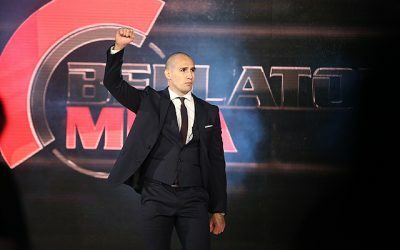 Smoldarev made a recent bid for the M-1 heavyweight crown, but he was submitted by former Bellator champion Alexander Volkov. He rebounded with a victory over M-1 mainstay Kenny Garner in a July 2016 bout. The towering 26-year-old turned pro in 2009 and reeled off nine straight wins, including seven stoppages, before suffering his first loss in another failed title bid against Marcin Tybura. The Estonian has trained in judo since the age of 12 and rose through the M-1 ranks by winning the M-1 Selection Grand Prix and advancing to the semifinals of the 2013 M-1 Heavyweight Grand Prix. Sometimes referred to as “The Brock Lesnar of Estonia,” Smoldarev has three wins by some form of knockout and five by way of submission. The 24-year-old Andryszak has struggled to find consistency in his career. 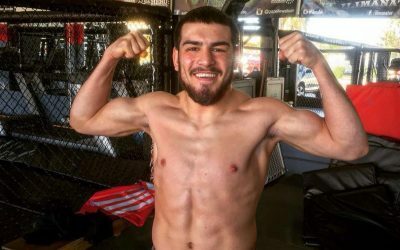 For every big victory — he’s defeated respected fighters like Ion Cutelaba and Baga Agaev — that could suggest potential in this kid, there’s an embarrassing defeat to a sub-.500 fighter. The Ankos MMA Poznań export is now on a three-fight winning streak that includes a 33-second finish of UFC veteran Tim Hague. The streak also includes a 17-second dismantling of an 0-2 fighter named Andrzej Kulik. Andryszak has assembled his 23-fight resume since late 2010. This pairing will test Smoldarev’s ability to weather the early storm. Andryszak has stopped an astonishing 16 of his 17 victims, including the aforementioned Agaev and Hague, within the first round. He needed 60 seconds or less to stop five of those opponents, and finished an additional three foes in less than 70 seconds. It’s not all good news for the Polish destroyer, though. He’s also succumbed to three recent knockouts of 32 seconds or less. Smoldarev could easily land a counter that drops Andryszak in the opening minute of this fight. If not, he’ll have to hang in there and wait for the second and third frames, where Andryszak has gone just 1-1. It could be a test of cardio between a fighter with a ton of short bouts and another who has seen the scorecards a modest four times and always emerged with the nod. Furthermore, Andryszak has a tendency to drop his hands as he closes distance for a flurry of punches. If even Lew Polley could repeatedly tag Andryszak, then Smoldarev should have a field day. This fight will probably play out the way many of Andryszak’s fights do — with a quick stoppage. This time, though, the Polish prospect might not be the man with his hand raised when the dust settles. 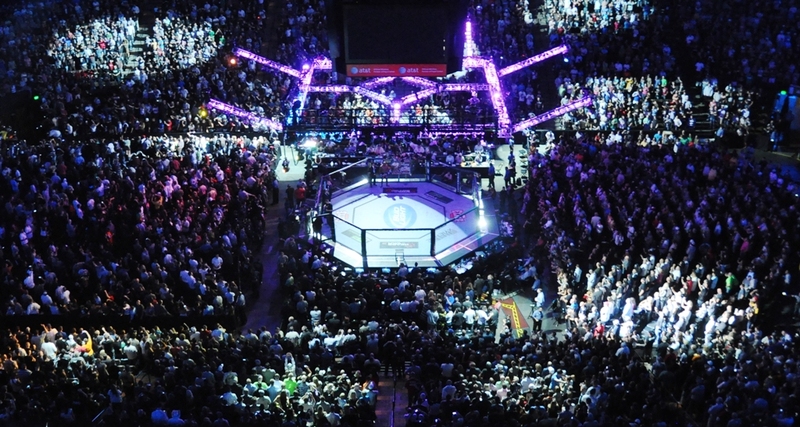 Watsco Center in Coral Gables, Fla.
It’s not often that a fighter with just three pro fights manages to land a featured spot in this column, let alone a featured spot on a major promotional offering like the 43rd edition of Titan Fighting Championship. So is the case of Titan’s flyweight champion, Jose Torres. After just three pro outings, Torres has the belt and a headlining slot opposite UFC veteran and former Titan title challenger Pedro Nobre in a fight that was already slated to headline Titan FC’s 42nd effort, but was scrapped when Nobre sustained an injury and was unable to compete. The majority of the Torres trophy case consists of titles won before the 24-year-old turned pro and signed with the Titan organization. 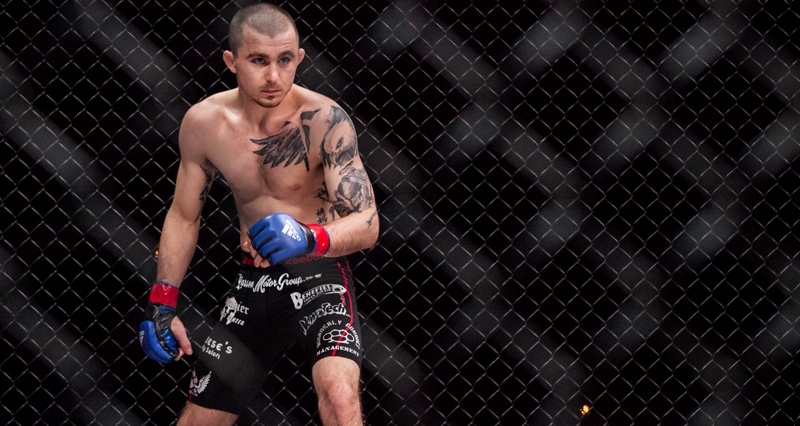 The youngster is possibly one of the most seasoned amateur MMA fighters ever. He worked his way to an undefeated mark through an astounding 17 amateur outings. 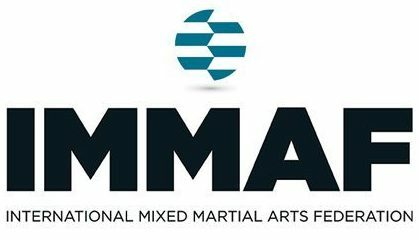 Many of these victories came in tournaments conducted by IMMAF over the span of a few days. Torres won IMMAF World Championship tourneys for the 2014 and 2015 calendar years, adding to a collection of gold that already included the American Predator FC, UMMAF and Midwest Fight League championships. His amateur run included six submission victories. When Torres turned pro, he was immediately snatched up by Titan. He debuted as a bantamweight at Titan FC 37, where he submitted fellow rookie Travis Taylor in just over two minutes. His run continued at Titan FC 38, where he earned a unanimous decision over 16-fight veteran Reynaldo Duarte. His most recent fight was an interim title clash with Abdiel Velazquez at Titan FC 40, which marked Torres’ move to flyweight. The KHK MMA Team product finished Velazquez with a second-round knockout to claim the belt. Nobre is the most experienced and successful opponent to step foot into the cage with Torres. 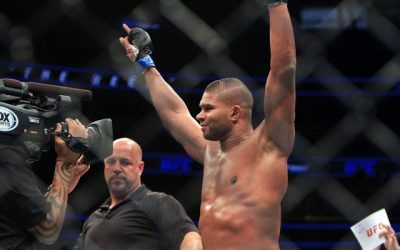 The Brazilian conquered his homeland’s regional scene to the tune of a 12-1-2 mark before making his UFC debut in 2013. His stay in the Octagon was short-lived after an accidental foul brought an end to his UFC on FX 7 bout with Iuri Alcantara and led to Nobre’s release. He claimed one more regional win in his native Brazil before debuting for Titan FC in 2014. 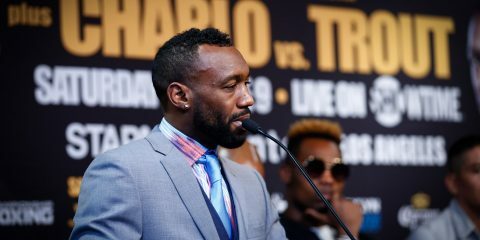 He won back-to-back Titan outings on the scorecards before hitting a string of bad luck in which he had bouts against Nick Mamalis, José Maria Tomé and Tim Elliott scrapped for various reasons, including Nobre’s failure to make weight and the cancellation of an event. After sitting on the sidelines for a year and a half, the Brazilian Top Team export finally returned to action in early 2016 and challenged Elliott for the Titan FC flyweight belt. Elliott decisioned Nobre to retain the belt, but eventually left for the UFC’s The Ultimate Fighter 24 flyweight title challenger tournament, leaving the door open for Titan to create the interim belt that Torres won. Meanwhile, Nobre returned at Titan FC 38 and scored a split decision win over Sid Bice. 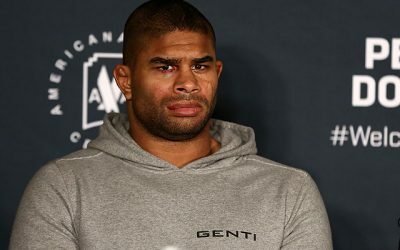 Even before his nightmare 2015, Nobre had a history of misfortune that included his botched UFC outing and a canceled bout against Alexandre Pantoja. He’s missed weight at least twice and had visa issues that interfered with his ability to compete. If Nobre makes it into the cage with Torres, though, fans are in for a clash of a veteran 30-year-old ex-prospect and a 24-year-old super prospect. UFC champ Demetrious Johnson might have recently faced the aforementioned Elliott, but he might want to start scouting Torres pretty soon. The kid has done well in an extended amateur run and has a chance to prove himself against an established veteran when he defends the title this weekend. Nobre took plenty of flak for what some people, including UFC President Dana White, thought was an acting job in his no-contest against Alcantara, but this guy still has the experience and skills to give Torres a tough test. Yet, it’s the long list of submission and decision wins that Torres has accumulated that make him just as seasoned as his foe, and also provides him with an argument as the favorite to pull off the victory over Nobre. Nobre has overcome some decent opposition, but he’s failed to register a truly significant win in his career. He fought to a split draw with Rodolfo Marques Diniz and came out on the losing end of a decision with Elliott. Expect more of the same when he locks horns with Torres. The young champ might struggle to finish Nobre, but he’ll put in solid work on his way to a victory on the judges’ scorecards.